If you're a fan of the Bohemian look, you'll love this gorgeous rug. Perfect for the living room or bedroom and adding some Boho, Scandi style to your decor. 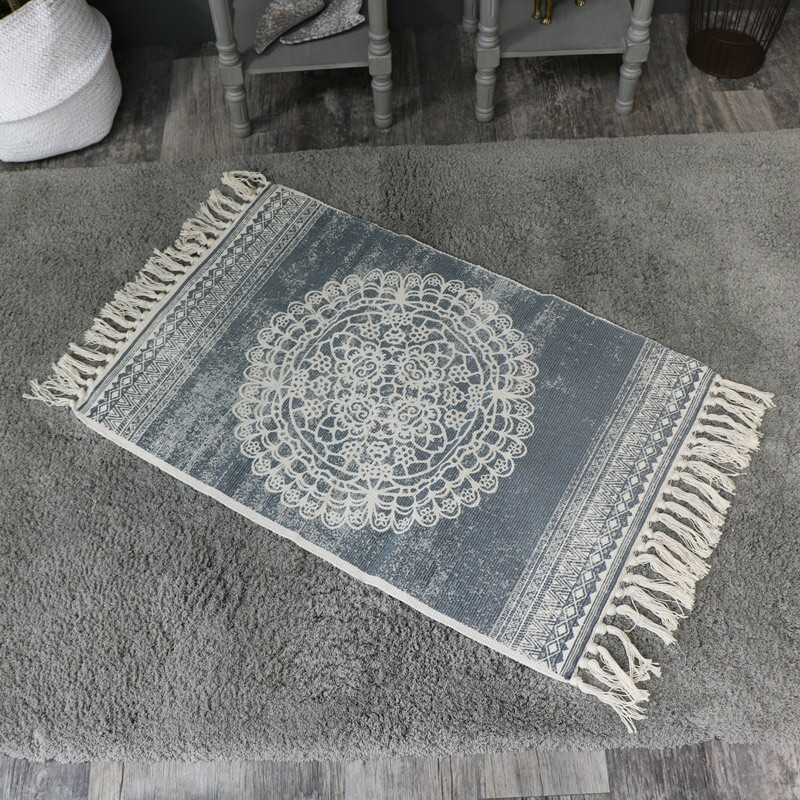 Patterned in grey and cream with circle in the centre and tassels on the ends, this can be laid out on the floor in the living room or next to your bed. Fantastic Mandela design that brightens up your home. We also have this stylish rug in pink. 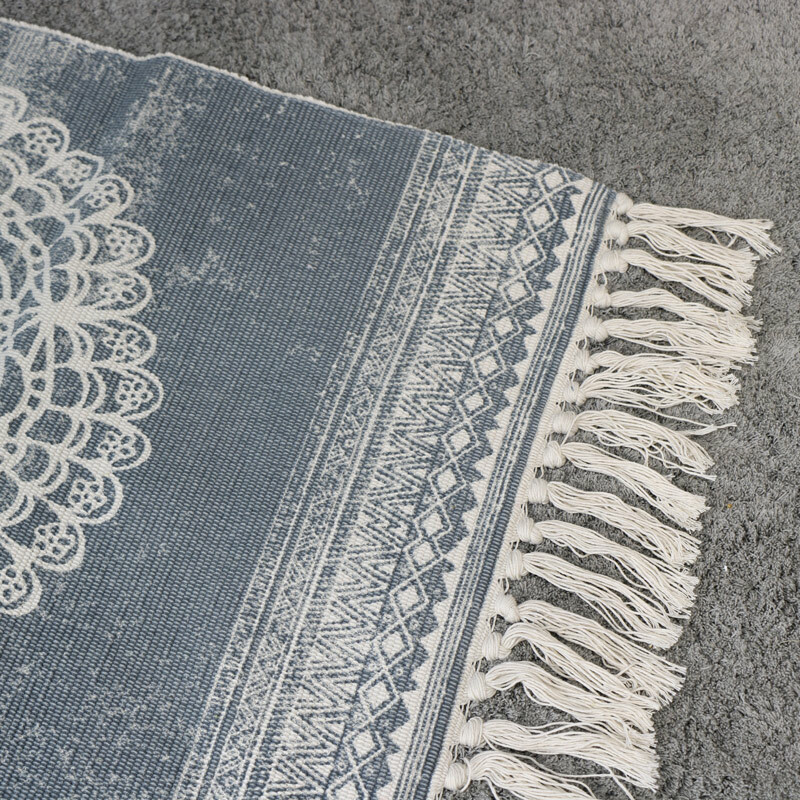 If you're a fan of the Bohemian look, you'll love this gorgeous rug. Perfect for the living room or bedroom and adding some Boho, Scandi style to your decor. Patterned in grey and cream with circle in the centre and tassels on the ends, this can be laid out on the floor in the living room or next to your bed. Fantastic Mandela design that brightens up your home. We also have this stylish rug in pink. Woven from cotton in colours of white and grey.